A Texas Dance For Johnny Reb This Southern arms-maker produced quality revolvers for the Texas Cavalry. While it is unknown why J.H. Dance Bros. guns were made without recoil shields, it’s likely that the rounded shields were left off to economize production. 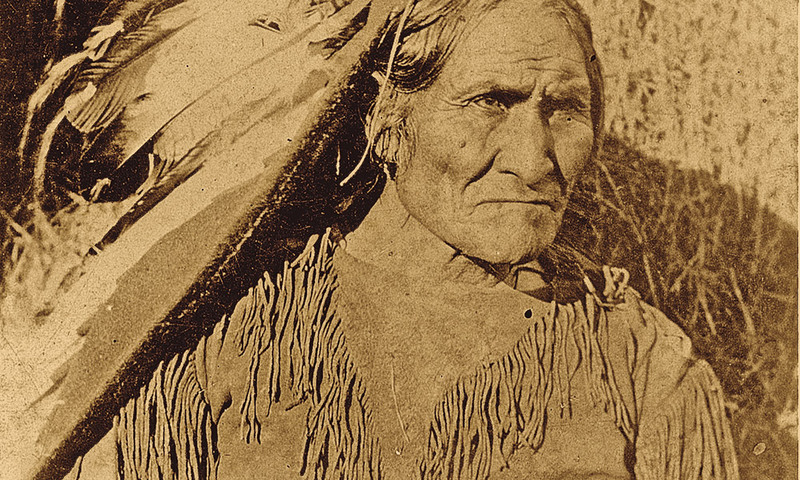 Photos of the six-guns are very rare, although the 1901 photograph of Geronimo with one evidences their presence in the Old West, despite their rarity. The Dance family, Virginians who settled in Texas in 1853, ran a steam factory (what we would now refer to as a machine shop) along the banks of the Brazos River near Houston and Galveston. Within a year after the opening of hostilities, probably in late 1861 or early 1862, the pro-Confederate Dance brothers, James Henry, George Perry, Isaac Claudius and David Ethelred, along with a cousin, Harrison Perry Dance, turned their business into a gun-making facility. 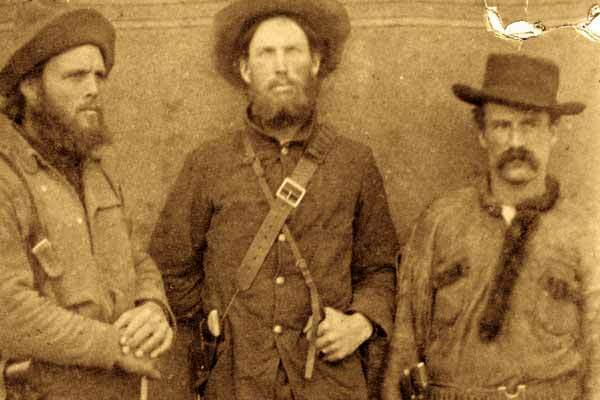 Southern patriots, the four brothers enlisted in the 35th Texas Cavalry (Brown’s Regiment), but were later detached from active service in order to perform their duties at the pistol factory. James Henry, who served as a 1st lieutenant in the unit, remained on active duty, although during his absence, he apparently continued to be involved in the management of the company. Dance revolvers were made in both .36 with 7 3⁄8-inch barrels and 8-inch barreled, .44 caliber models (shown). Manufactured by skilled Southern machinists, with a number of them assigned to work at the factories from the 35th Texas Cavalry, only an estimated 350 to 500 revolvers were ever produced in the Columbia, and later Anderson, Texas factories. Texas units known to have obtained Dance revolvers include the 35th Texas Cavalry and Captain Sutton’s Company, Graham Rangers. The Confederate Conscription Act, which drafted all white males between the ages of 18 to 35, caused labor problems for all Rebel arms-makers. Nonetheless, despite this law, the Dance Brothers’ factory was able to have 35 skilled soldiers assigned to it, with at least 23 of them from the 35th Texas Cavalry. This success in getting capable machinists was undoubtedly largely due to Lt. James Henry Dance’s position in the regiment, coupled with the fact that, like so many other Texas units, the 35th had trouble getting revolvers. Assigning the 35th’s troopers to the factory was a powerful incentive. 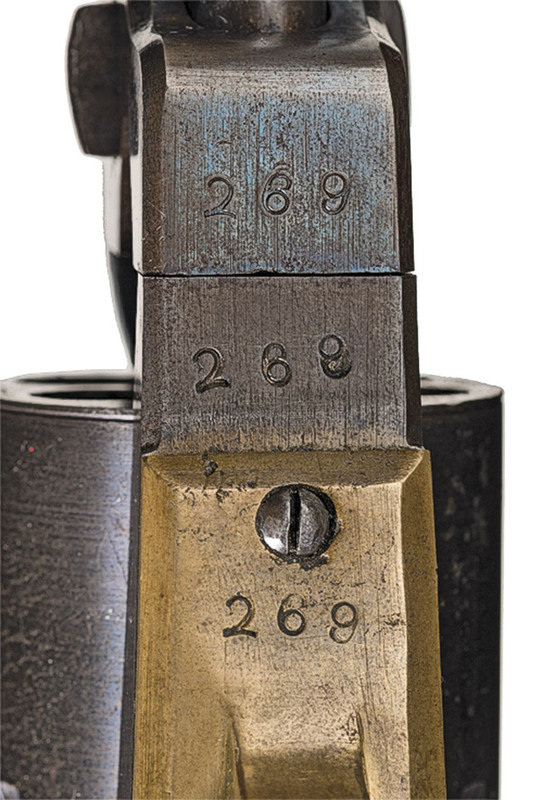 This 8-inch barreled, .44 Dance dragoon, serial number 269, is one of the finest known of the J.H. Dance Bros.’ six-guns. Like many of its ilk, it has large serial numbers (as seen in the photo below), and no other markings. Interestingly, some Dance revolvers have no numbers at all, while others are stamped with diamonds, stars or zeros. By mid-1864, Dance revolvers were being manufactured in Anderson, Texas, near Houston. They were simply, but nicely finished and closely followed the overall pattern of Colt’s 2nd Model Dragoons (.44 caliber with 8-inch barrels) and the Hartford, Connecticut, firm’s 1851 Navy revolvers (.36 caliber with 7 3⁄8 -inch barrels), with a blued finish, brass grip straps, and one-piece walnut stocks. The most distinguishing feature of Dance revolvers is the lack of a recoil shield, giving the gun a flat frame. A very few in each bore size were nevertheless produced with them. While no one knows for sure why the Dance guns were made without recoil shields, it’s probable that since they serve no real purpose, the rounded shields were left off to simplify and economize production. Other characteristics of Dance revolvers include the lack of any name identification. They bear large serial numbers on various parts, or no numbering at all, and in some instances, revolvers are simply stamped with diamonds, stars or zeros. The guns have the Colt-style half-round/half-octagon barrel assemblies, but some Dance .44 revolvers feature full octagon barrels. Although the J.H. 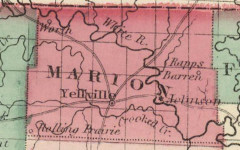 Dance Bros. firm began producing revolvers for private sale, they eventually received a contract from the Confederate State Army’s District of Texas, and the factory became part of the Confederate Ordnance Department. Most Dance six-guns were delivered to Texas’s Ordnance Officers for issue to the state’s own cavalry. Texas units known to have obtained Dance revolvers include the 35th Texas Cavalry and Capt. 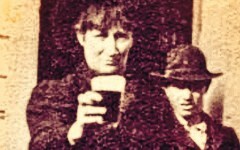 Sutton’s Company, Graham Rangers. 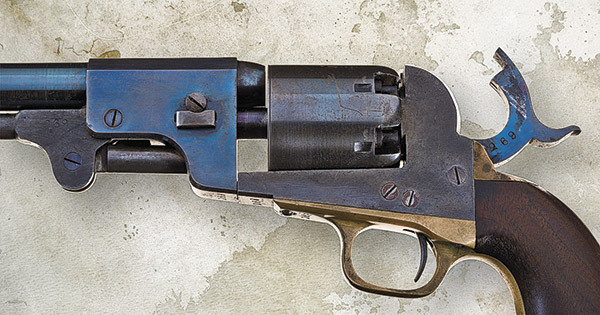 Though few in numbers, these Lone State State six-shooters have a rich history and are among the most coveted Rebel revolvers by today’s collectors. Like their name says, they danced to the tune of Dixie. As the authors state in this 400-page volume, “This is the last piece of the puzzle for what Blue Book Publications offers customers and readers for firearms-related information and up-to-date values.” Containing research and data gathered since 1981, and using four-color photos provided by James D. Julia Auctioneers, this comprehensive resource library offers a wealth of information on American antique guns. 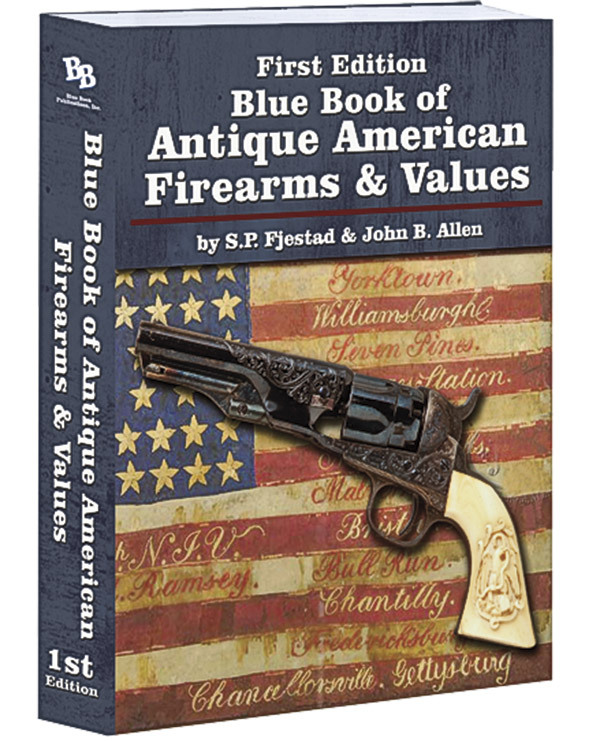 This First Edition Blue Book of Antique American Firearms & Values, by S.P. Fjestad and John B. Allen, includes a Photo Percentage Grading System, showing antique firearms in various conditions, an index of American military arms-makers, listings of auction houses, internet sellers, major U.S. museums’ arms collections, antique terminology and much more. 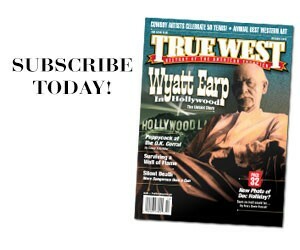 It’s a definite must-have for collectors of antique guns. Lt. Henry Allen Second only To Lewis and Clark. Dinner in Deadwood with Calamity Jane Food adventures in the frontierswoman’s Dakota Territory hangout.